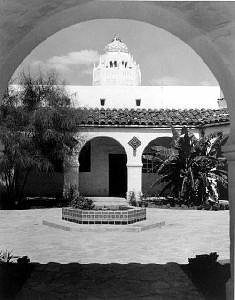 This beautiful two-story building done in the Spanish Colonial Revival style houses a 500,000 gallon water tank. It is capped by a dome roof that is covered with ceramic tiles. The building was completed in 1931 at a cost of $252,000.